One look at the amazing results offered by teeth whitening treatments and it’s easy to understand why teeth whitening has become the most popular and commonly performed cosmetic dental procedure by your Oklahoma City cosmetic dentist. Teeth whitening is a simple and safe procedure that provides patients with the option of whitening either their top teeth or both their top and bottom rows. 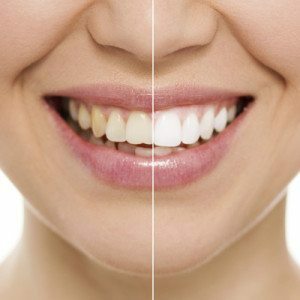 With the advanced Zoom Whitening treatments offered at Shepherd Mall Family Dentistry, our dentist can transform your teeth into a shade noticeably whiter after just one treatment! Schedule an appointment with our staff at Shepherd Mall Family Dentistry, your NW 23rd Street Dentist of choice, to see if your teeth are healthy enough to receive whitening treatments. Dental bonding uses a resin applied to the front or back teeth to lighten stains, close minor gaps, correct crooked teeth or restore teeth affected by decay. After preparing a tooth for treatment, a bonding resin is placed on top and the tooth is then shaped and contoured to improve the appearance of your smile. Finally, the tooth is cured with a high-intensity light before the surface of the tooth is polished. Tooth bonding generally lasts from three to five years before any repairs are necessary. Tooth bonding can often be completed in just one visit. 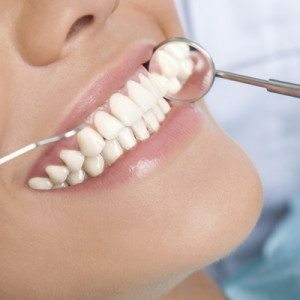 If you want to have the appearance of your teeth significantly improved so you feel better and more confident about the state of your smile then dental bonding is right for you! Porcelain veneers are thin shells of ceramic that bond directly to the front surfaces of the teeth, helping to correct the appearance of uneven, chipped, stained or crooked teeth. These ultra-thin veneers are virtually undetectable and highly resistant to stains from substances like coffee, tea, or tobacco. It typically takes three dental visits to complete the placement of dental veneers. Your first visit will involve a consultation with your Oklahoma City cosmetic dentist at Shepherd Mall Family Dentistry, and will conclude with an impression being made of your teeth. The impression will then be sent off to a lab where your veneers will be crafted. The veneers will then be placed and bonded to your teeth during the and final third visit. Our Oklahoma City cosmetic dentists will ensure that your veneers are crafted from the highest quality porcelains and are bonded with the most advanced and proven materials available. Veneers require the same type and amount of care as regular teeth. Brushing twice daily and flossing once a day, along with regularly scheduled trips to Shepherd Mall Family Dentistry will ensure a bright, healthy smile for years to come.